IBM - 00P4295 IBM - FC5704 2GB SINGLE PORT PCI-X LC FIBRE CHANNEL HOST BUS ADAPTER (00P4295). NEW BULK. IN STOCK. SHIP SAME DAY. IBM - 24P8174 IBM - TOTALSTORAGE 2GB 64BIT 133MHZ PCI-X LOW PROFILE FIBER CHANNEL HOST BUS ADAPTER (24P8174). CLEAN TESTED. IN STOCK. SHIP SAME DAY. IBM - 24P0962 IBM - TOTALSTORAGE 2GB 64BIT 133MHZ PCI-X LOW PROFILE FIBER CHANNEL HOST BUS ADAPTER (24P0962). CLEAN TESTED. IN STOCK. SHIP SAME DAY. Hewlett Packard - 366493-001 HP/COMPAQ - DUAL CHANNEL 8INTERNAL PORT 64BIT 133MHZ PCI-X SAS HOST BUS ADAPTER (366493-001). NEW BULK. IN STOCK. SHIP SAME DAY. EMULEX NETWORK - FC1020034 EMULEX - LIGHTPULSE LP9002L 2GB SINGLE CHANNEL 64BIT 66MHZ PCI FIBRE CHANNEL HOST BUS ADAPTER (FC1020034).CLEAN TESTED. IN STOCK. SHIP SAME DAY. 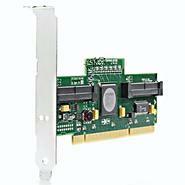 EMULEX NETWORK - LP10000DC EMULEX - LIGHTPULSE 2GB DUAL CHANNEL PCI-X FIBRE CHANNEL HOST BUST ADAPTER (LP10000DC). NEW BULK. IN STOCK. SHIP SAME DAY. 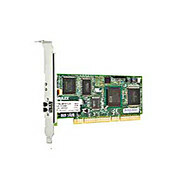 IBM - 00P4495 IBM - 2GB SINGLE CHANNEL 64BIT PCI LC FIBRE CHANNEL HOST BUS ADAPTER (00P4495). NEW BULK. IN STOCK. SHIP SAME DAY. 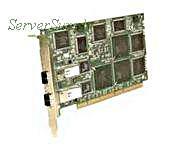 IBM - 03N6441 IBM - 2GB SINGLE PORT PCI-X FIBRE CHANNEL HOST BUS ADAPTER (03N6441). CLEAN TESTED. IN STOCK. SHIP SAME DAY. IBM - 80P4543 IBM - 2GB SINGLE PORT PCI-X FIBRE CHANNEL HOST BUS ADAPTER (80P4543).CLEAN TESTED. IN STOCK. SHIP SAME DAY. 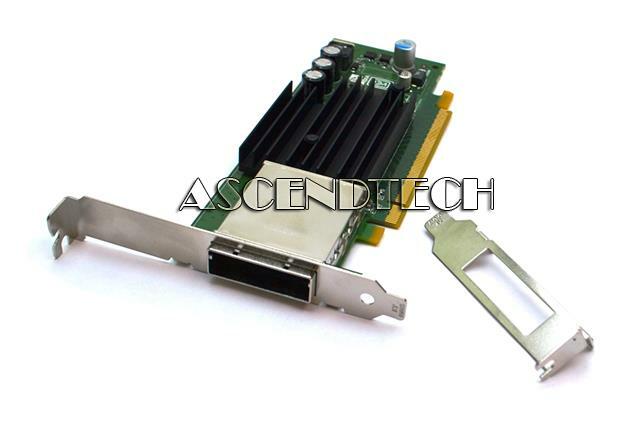 IBM - 00P2995 IBM - TYPE 4-W 2765 2GB SINGLE CHANNEL 64BIT PCI FIBRE CHANNEL HOST BUS ADAPTER (00P2995). NEW BULK. IN STOCK. SHIP SAME DAY. IBM - 24P0960 IBM - TOTALSTORAGE 2GB 64BIT 133MHZ PCI-X LOW PROFILE FIBER CHANNEL HOST BUS ADAPTER (24P0960). CLEAN TESTED. IN STOCK. SHIP SAME DAY. Hewlett Packard - 383701-001 HP/COMPAQ - DUAL CHANNEL 8INTERNAL PORT 64BIT 133MHZ PCI-X SAS HOST BUS ADAPTER (383701-001). NEW BULK. IN STOCK. SHIP SAME DAY. Hewlett Packard - 435709-001 HP/COMPAQ - DUAL CHANNEL 64BIT 133MHZ PCI-X 8INTERNAL PORT SAS HOST BUS ADAPTER (435709-001). NEW BULK. IN STOCK. SHIP SAME DAY. Hewlett Packard - 347786-B21 HP/COMPAQ - DUAL CHANNEL 64BIT 133MHZ PCI-X 8 INTERNAL PORT SAS HOST BUS ADAPTER (347786-B21). NEW BULK. IN STOCK. SHIP SAME DAY. 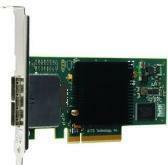 Dell - 4U854 DELL - 2GB DUAL CHANNEL 64BIT 133MHZ PCI-X FIBRE CHANNEL HOST BUS ADAPTER (4U854). NEW BULK. IN STOCK. SHIP SAME DAY. IBM - 80P4544 IBM - 2GB SINGLE PORT PCI-X FIBRE CHANNEL HOST BUS ADAPTER (80P4544). CLEAN TESTED. IN STOCK. SHIP SAME DAY. IBM - 80P4382 IBM - FC5704 2GB SINGLE PORT PCI-X FIBRE CHANNEL HOST BUS ADAPTER (80P4382). NEW BULK. IN STOCK. SHIP SAME DAY. IBM - 00P4494 IBM - TYPE 4-W 2765 SINGLE PORT 2GB 64BIT PCI LC FIBRE CHANNEL HOST BUS ADAPTER (00P4494). NEW BULK. IN STOCK. SHIP SAME DAY. 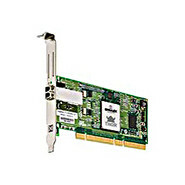 IBM - 24P0961 IBM - TOTALSTORAGE 2GB 64BIT 133MHZ PCI-X LOW PROFILE FIBER CHANNEL HOST BUS ADAPTER (24P0961). CLEAN TESTED. IN STOCK. SHIP SAME DAY.